Breathtaking waterfall views, steps from the beach. 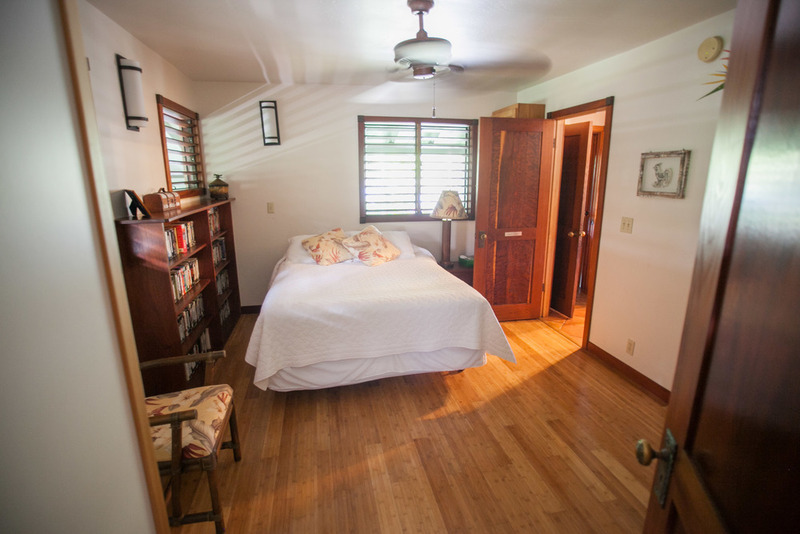 Wailele Ikena is a 5 bedroom/3 bath Craftsman-style custom built house strategically located in the heart of Hanalei, on the North Shore of Kauai, about 45 minutes from the airport in Lihue. 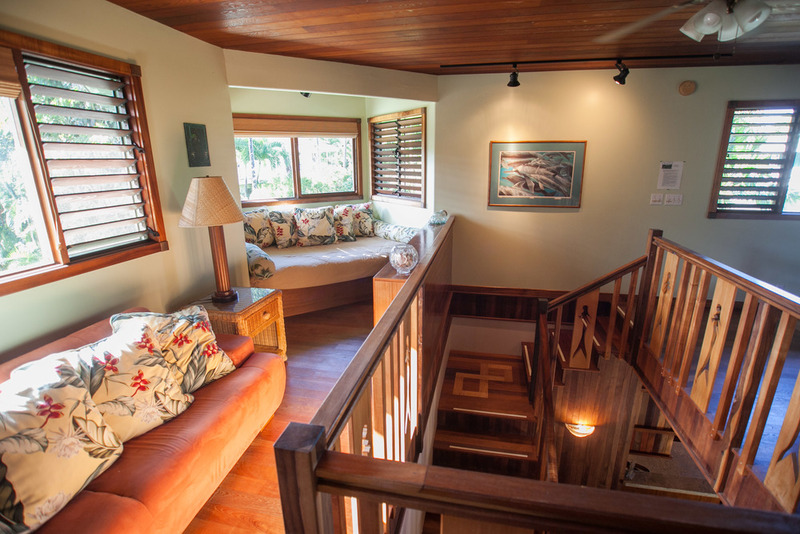 Wailele Ikena is more than just a house – it's an Island home, and any good home comes with amenities for the locals. 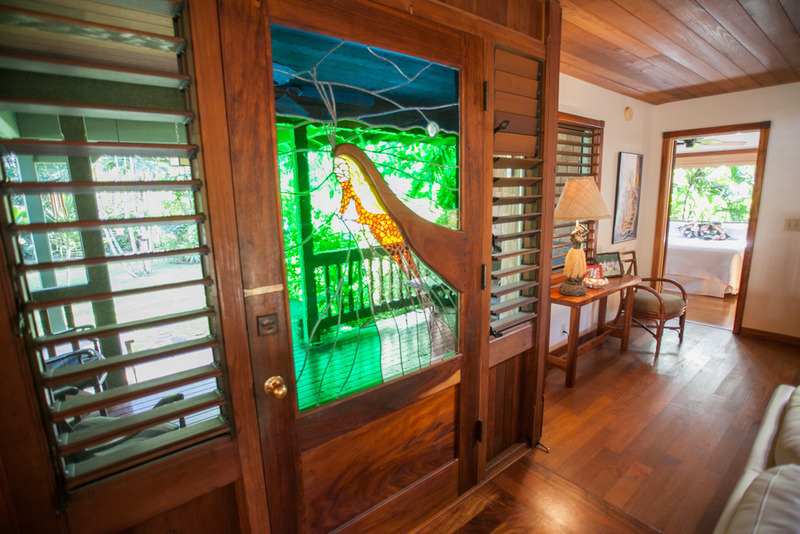 When we outfitted Wailele Ikena, we handpicked the finest accouterments for our place in paradise. 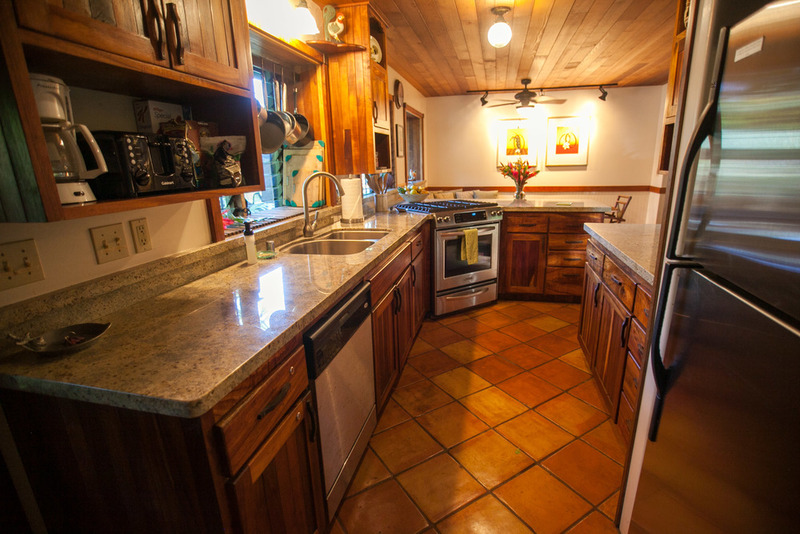 The interior of the house boasts a fully equipped gourmet kitchen. With custom hardwood cabinets, gas range, dish-washer, granite counter tops, Spanish tile floors, and a library of cookbooks (There is a fabulous fresh fish market in town). 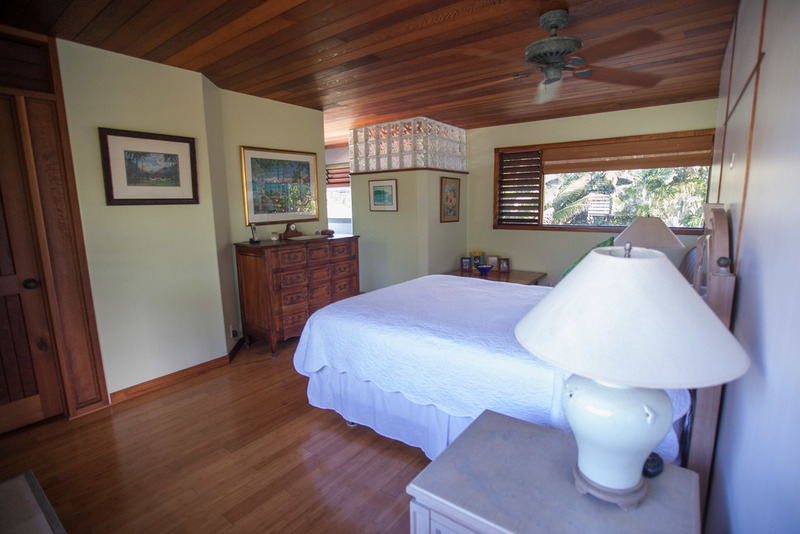 The master suite is luxurious and spacious with a queen size bed and breathtaking views. 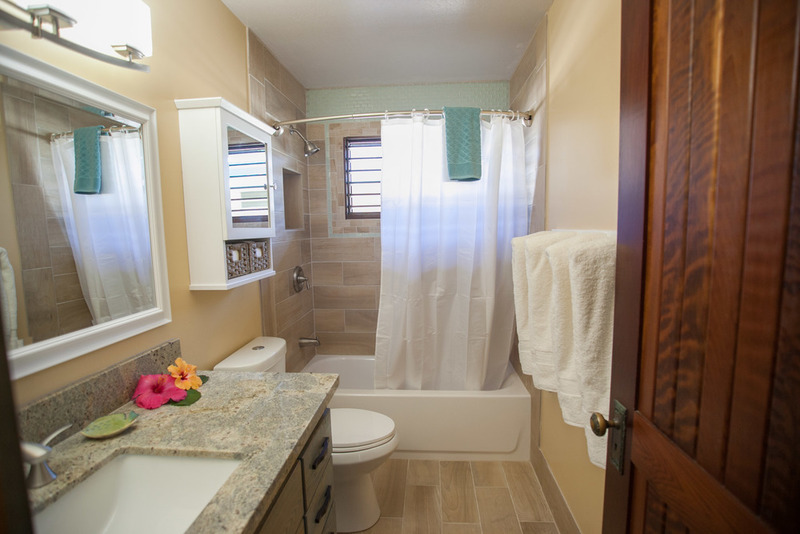 If the warm waters of Hanalei Bay don't get out all of the knots, a relaxing soak in the Jacuzzi tub certainly will. 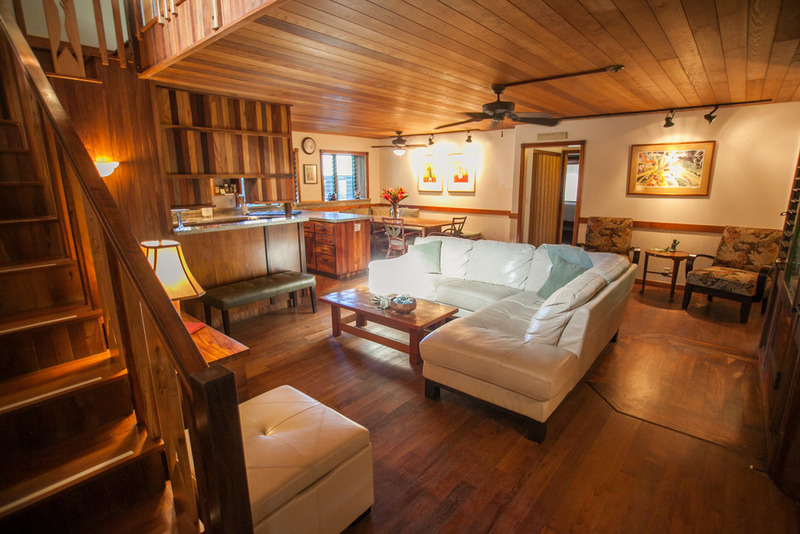 Enjoy the comforts of home with a media system, an extensive collection of movies, and waterfall views. 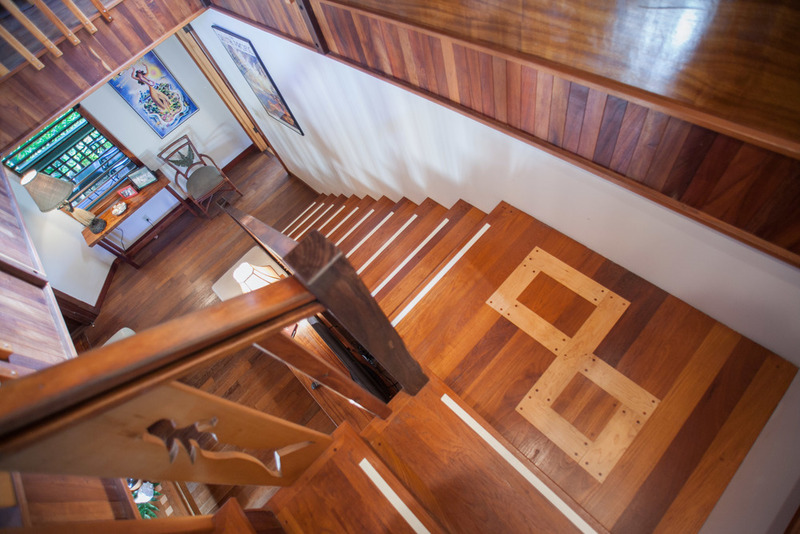 Wireless high-speed Internet access, Teak floors and custom-made hardwood furniture add warmth to this spectacular home. 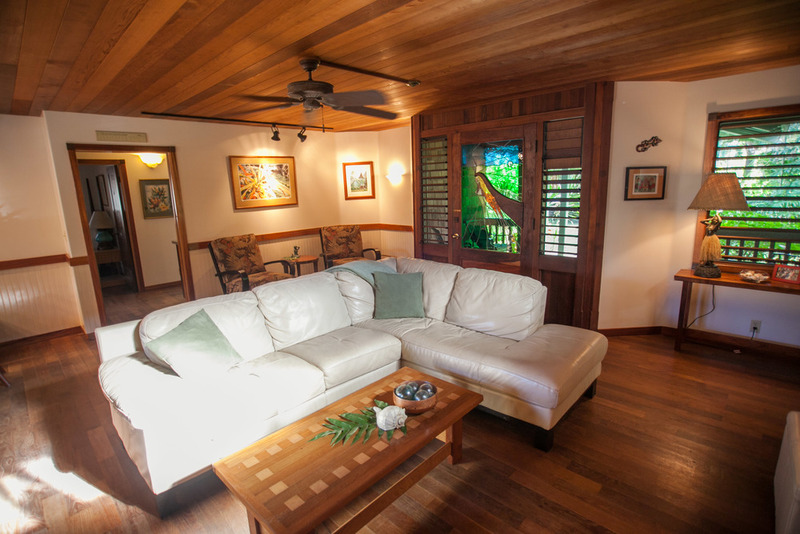 Sit on the beautiful wooden lanai and marvel at the ancient volcanic mountain peaks. It is also home to a wide variety of Hawaiian birds. 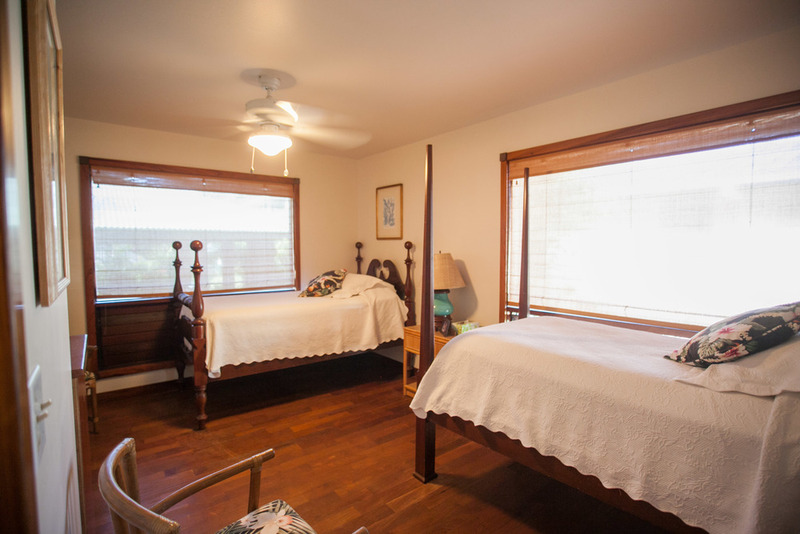 Enjoy the large private front lawn perfect for croquet, bocce and playful children. 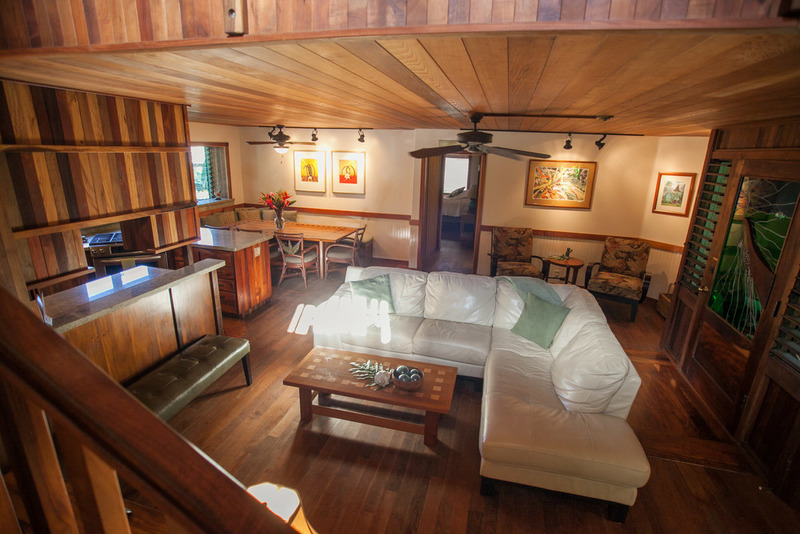 Living it up in Hanalei. 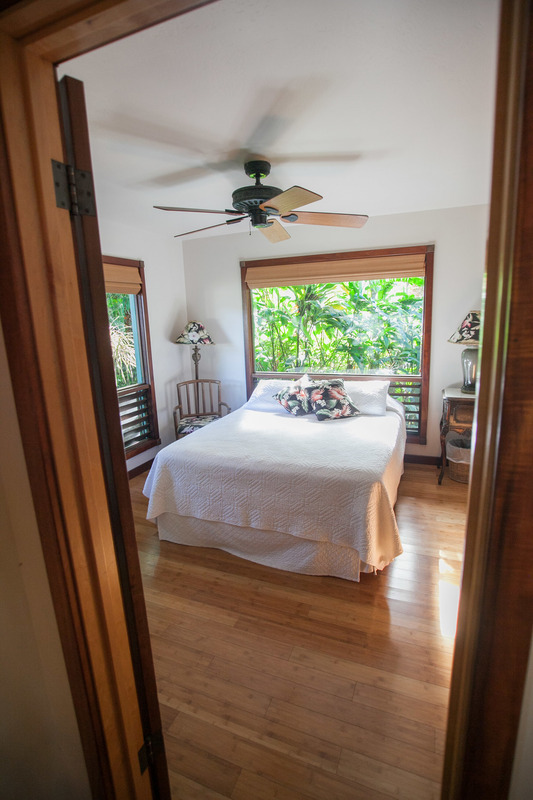 A few steps from the house puts you in the center of town boasting excellent restaurants, casual shopping, full service grocery (health food store) and old fashioned liquor store, river kayaking as well as Hanalei Bay Beach, consistently voted one of the best, protected, un crowded beaches in the world. Here you can learn to surf, swim, boogie board or just relax and drink in the beauty of the 2.5 miles of white sandy beach. 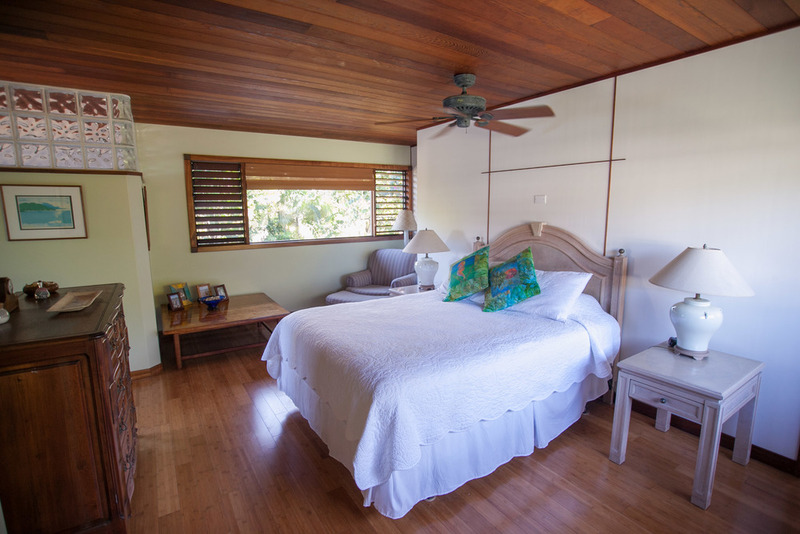 A 5 minute drive puts you in range of Princeville and its championship golf courses, world class snorkeling and surfing, horseback riding, hiking, zip lines, helicopter rides and more.